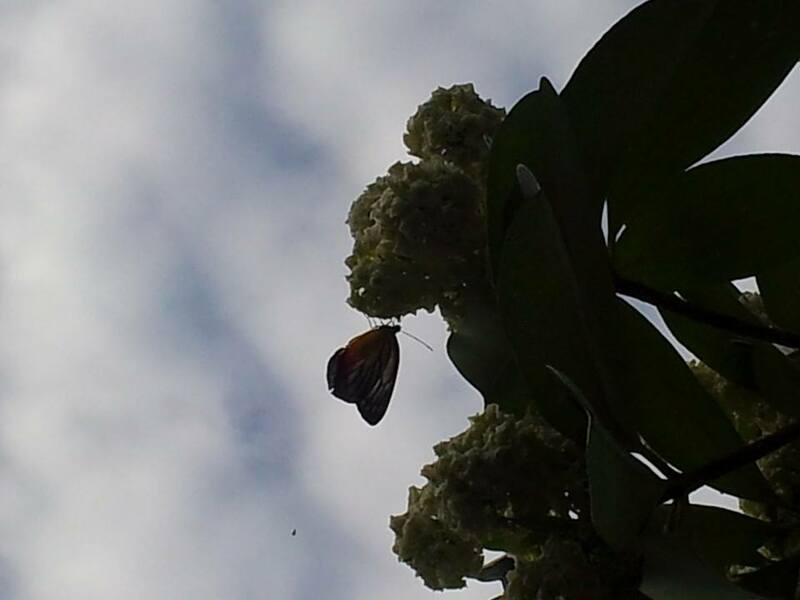 I was excited last Friday morning when I observed a three-tiered tree full of cream-coloured blooms and butterflies fluttering over its crown. It was at a park connector about 10 minutes’ walk away from Science Centre Singapore. Being my first time seeing so many butterflies (estimated 15 or more) in a natural setting, I stood around excitedly, observing and taking photographs. However, it was only on Tuesday that I was truly enlightened. From the blog post of “Otterman” or Mr N. Sivasothi, a lecturer with the Department of Biological Sciences, NUS, I learnt that the flowering trees are Indian Pulai (Alstonia scholaris), planted as wayside trees across the island and they exude a strong peppery smell during flowering (I can’t seem to smell anything though!). 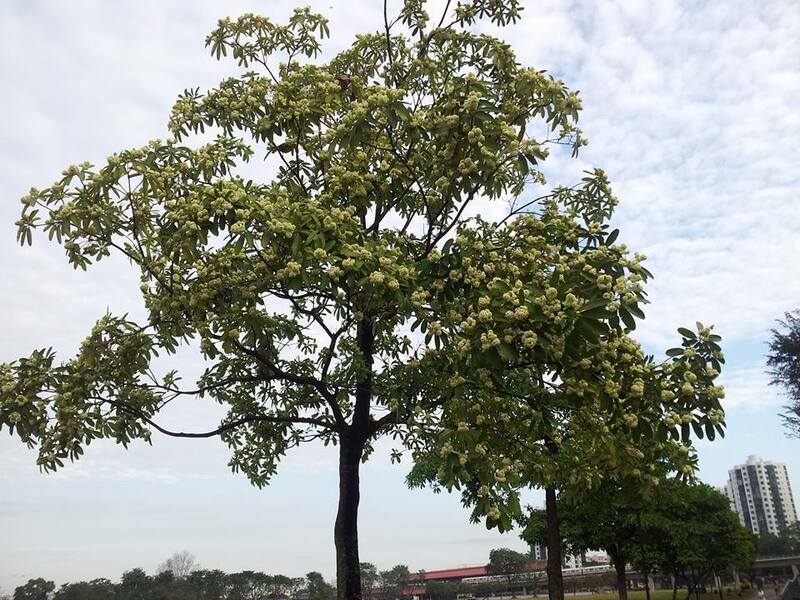 In his blog post, Mr N Sivasothi shared that a few years ago in January 2010, there were profuse flowering of the Indian Pulai trees and it created a buzz amongst the nature communities. This January seems to be another year of profuse flowering. 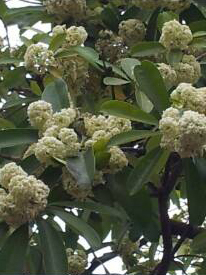 A flowering Indian Pulai tree at the end of the park connector. Butterflies were fluttering around its crown! I’ve posted my sighting of the flowering at iSpied, an iPhone application designed to help you identify what you have spotted and share your sightings with other nature lovers. If you are an iPhone user, try using the application (http://bit.ly/iSpiedApp) and share your sightings too! Smells of cardamon to me. Good to what those trees are! Yes, Yong! Good to know what they are!